Morning hours are considered very productive and waking up fresh in the morning lays a solid base for the day ahead. 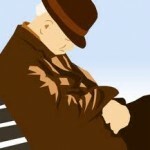 How many of you feel tired when you wake up in the morning? You try various methods such as drinking water or taking up some sun light in the morning but nothing works. It’s difficult to be regular on these natural methods and you lose rhythm once you go on a journey or follow a hectic work schedule and may suffer from various sleeping disorders. The Philips Wake-Up Light Plus is a product designed especially for you to wake you up in a more pleasant and natural way. It is an Official Light Therapy Product by the national sleep foundation that prepares your body to wake up with a more pleasant feeling. Philips Hf3485 Wake-up Light Plus creates a good environment around your room to wake you up in an improved mood. It gradually increases the light for 30 minutes mimicking the sunlight. While using an alarm clock, your mind and body suddenly gets a shock with that very unnatural sound. It’s pretty harmful to give your body a rude command while it’s in the comfort zone of a sound sleep. 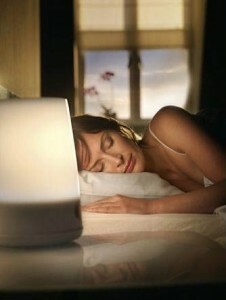 Philips Hf3485 Wake-up Light Plus is a product that lights up as if a pleasant sun in rising in your bedroom. When you wake up naturally, you feel more energetic to take up the responsibility of a new day. 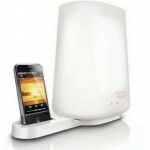 Its natural sound setting wakes you up with natural sounds or with a tune of your selected FM station. You may also download sounds of your choice through its USB slot and set them up with the wake-up time to start your day on a more positive note. Its light intensity level can be adjusted up to 250 lux, so with this product you are free to choose light intensity that matches with your personal preferences. Smart snooze on your tap, isn’t that great! You just tap anywhere on the product and after 9 minutes it start playing the same music again. 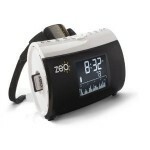 The product has all the basic features that ensure a quality waking up. 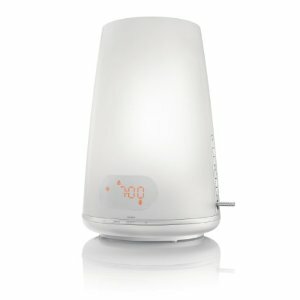 The product is designed to offer you a pleasant morning but can also be used to wind down and fall asleep at bedtime. Its dusk simulation feature help those who live in brightly lit homes and apartments and find it difficult to fall asleep at a conventional bedtime just after putting off the bright light. It can also be used as a bedside lamp; design is perfect to match with most of the interiors and setting. My final verdict on Philips Hf3485 Wake-up Light Plus, is that the device is perfect and it helps you to have excellent morning in the winters with its pleasant light and different natural sounds. It has everything (dual alarm settings, optional FM radio and nature sounds, smart snooze) one need to make his or her waking up a pleasant experience. 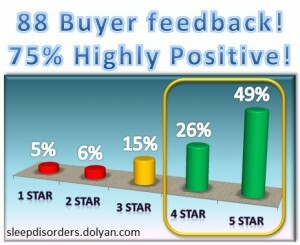 It helps to eliminate sleep-delay issues and is way much better than an alarm clock which makes loud buzzing. 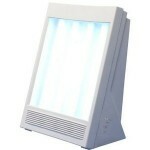 It is the best device for light therapy and is highly acclaimed by National Sleep Foundation. The negative comment here says that “if only they would allow the user to replace the bulb”. I would like to comment here that this is not true and in this model you have the facility to change the bulb. 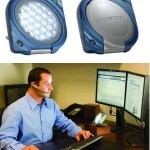 It is affixed with a replaceable 100-watt, 12-volt halogen lamp. 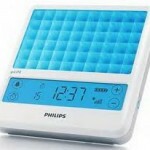 The product is 100% UV free and it’s difficult to doubt on its reliability as Philips Hf3485 Wake-up Light Plus has been backed by independent clinical research which is very much positive on its regular use. The research also confirms the claim that the product wakes people up more pleasantly and is helpful in improving the quality of their waking up. The product is recommended by the National Sleep Foundation, a nonprofit organization working constantly for sleep health and safety of the people.